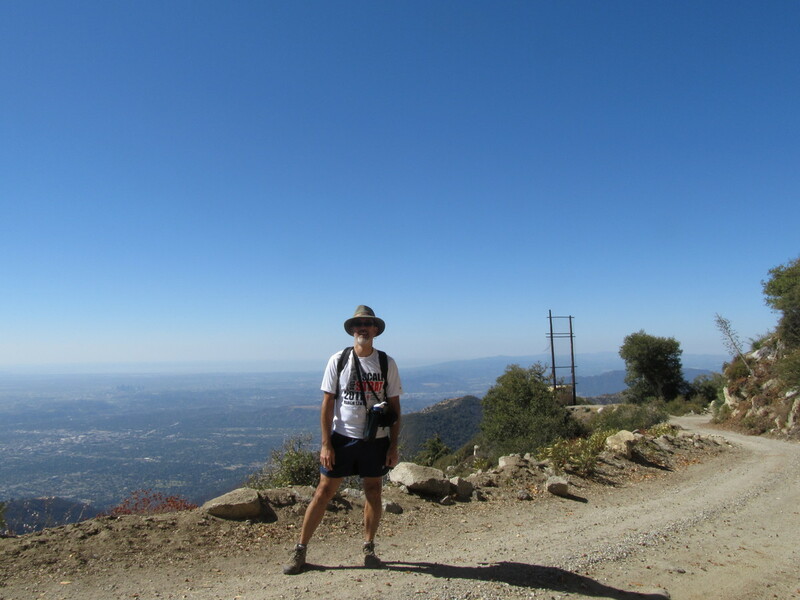 Last week, when Karina, Gary, and I were on the hike to the Bridge to Nowhere, we talked about doing Mount Wilson this week. 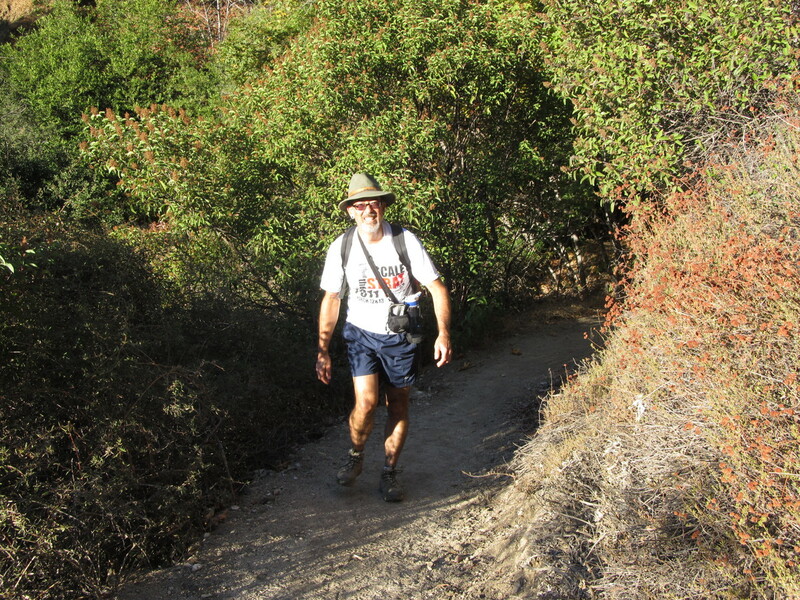 Our original plan was to go up the trail that starts at Chantry Flat. 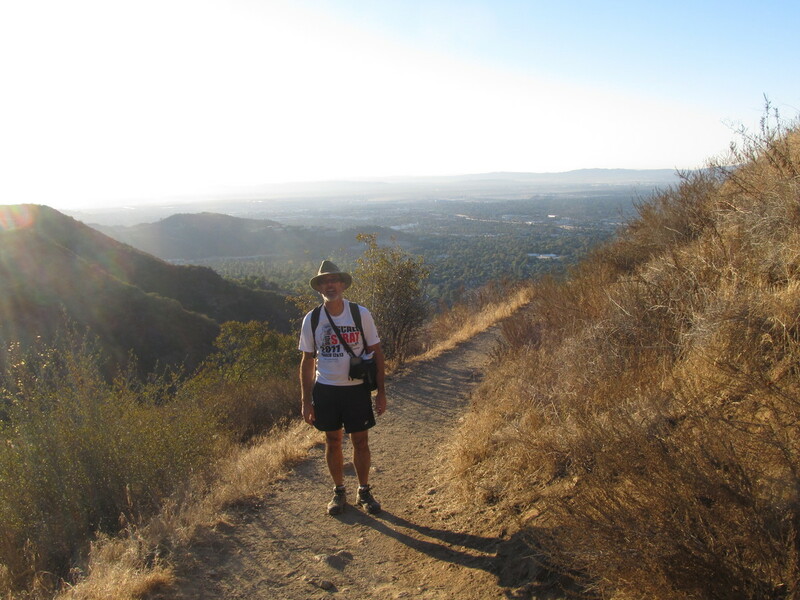 Karina said that one is more scenic and not as difficult as the trail from Sierra Madre. 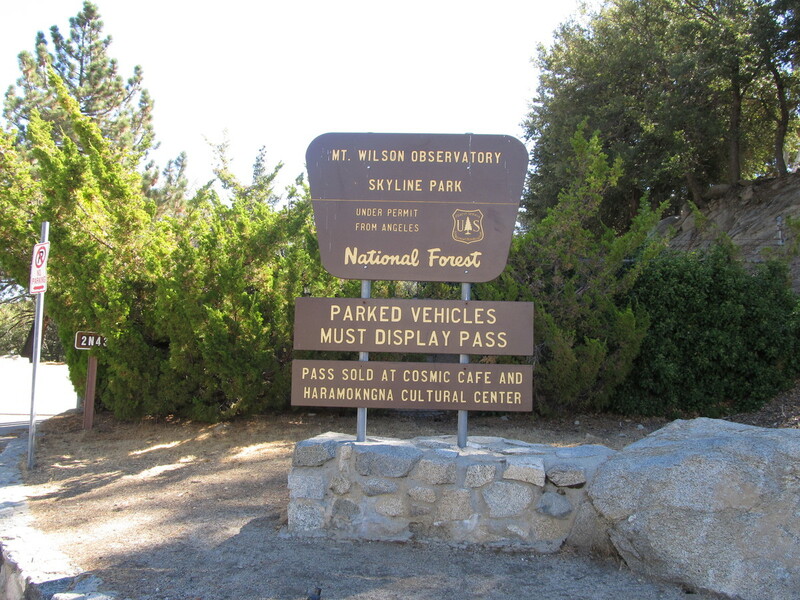 But on the way home from Sunday’s bike ride, I’d gone by the bottom of the Chantry Flat road and found that it, too, was closed due to the government shutdown. So Sierra Madre it was. 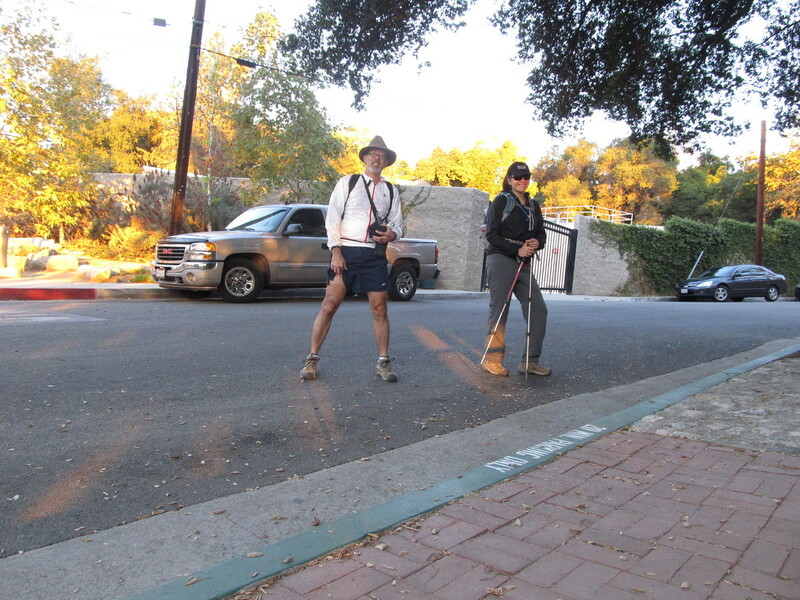 I met Karina at the trailhead at 7AM. It was barely past sunrise when we started up the trail. 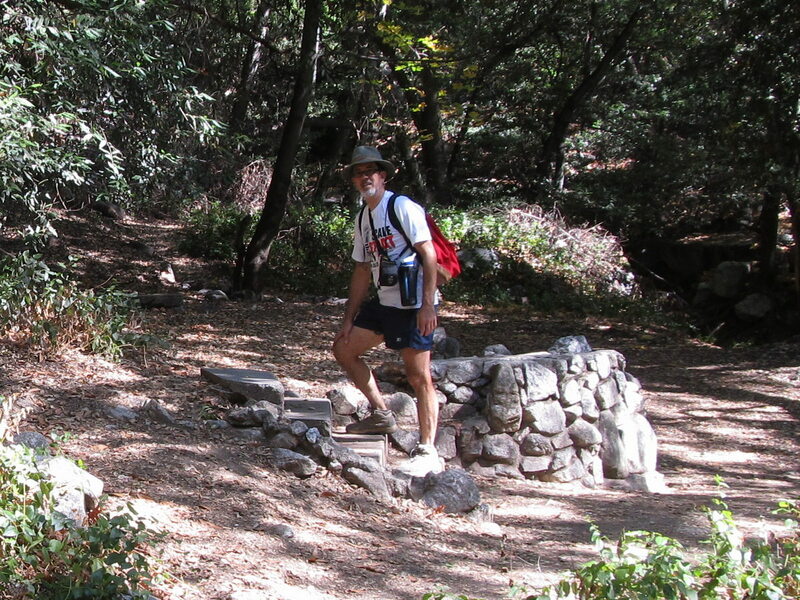 The sign at the bottom said that the trail had been built in 1864 by Don Benito Wilson, and that it was originally intended for mule trains and horses. Which explains why the trail builders didn’t seem to care all that much about taking the most efficient path up the mountain. 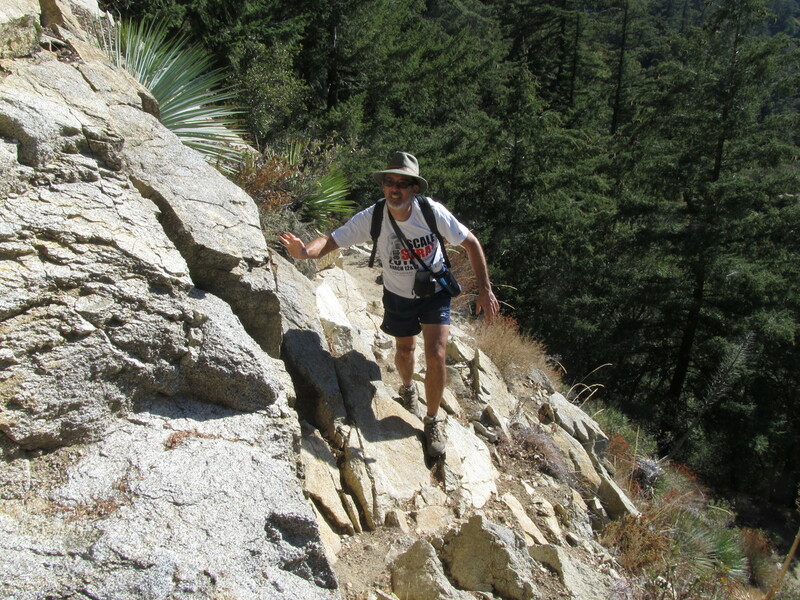 There were several places on the way up where the trail dropped into narrow canyons, only to climb back up and out of them on the other side. I hate it when that happens. A good bit of the lower part of the trail is through actual forest. That’s nice, since forests are kind of rare in southern California. 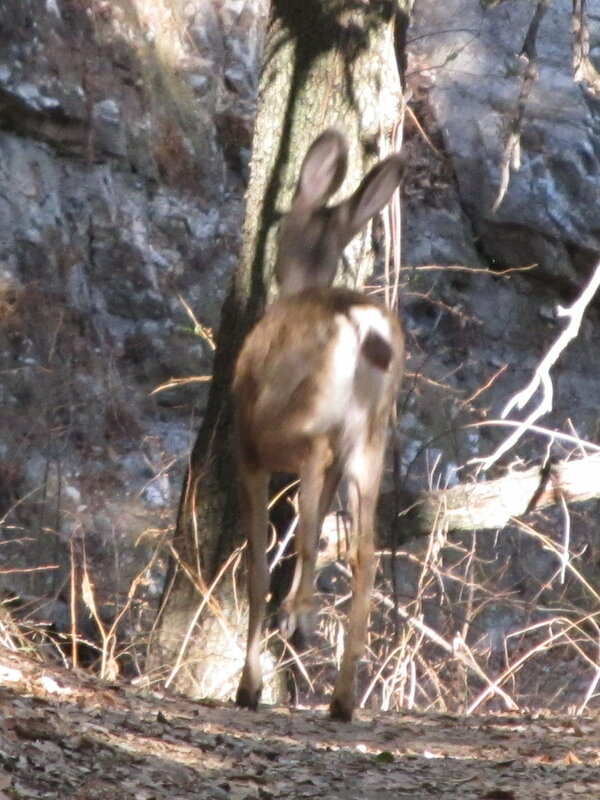 We came across a couple of deer on the trail at one point. They ran away when they saw us coming. Karina woke up with a cold this morning, so she was sort of dragging. She said that if she could make it to the trail junction at the top of Manzanita Ridge, she thought she’d make it to the summit. When we got to the top of the ridge, we stopped for a few minutes, and then continued on to the junction with the old Mt. Wilson Toll Road. At that point, Karina said ‘uncle’ and decided to turn back. I kept going, since we were almost at the top, and I’d never done that trail before. The rest of the walk to the top took about 1/2 hour. I stopped briefly at the top to refill my water bottles. Then I headed down. I wanted to see if I could catch up with Karina before she made it back to the bottom. I stopped to take some pictures on the way down, including the steps on the foundation of Orchard Camp. I figured that was the closest I’d be coming to stairs today. I managed to average almost 3 miles per hour on the way down. I reset my GPS at the top, and when I got to the bottom, it said it was just a bit over 7 miles, and it took me 2 1/2 hours to do. Karina’s car was gone, but I later heard from her that she’d only gotten to the bottom about 40 minutes before I did. In the end, it was a fun hike. It was pretty hard. Probably harder than Mt. Baldy was, even though that’s a much higher mountain. Still, I didn’t feel too wiped out. And I started thinking about maybe doing downtown for stair practice in the evening. I thought that doing that might be a good capstone of insanity for the day.